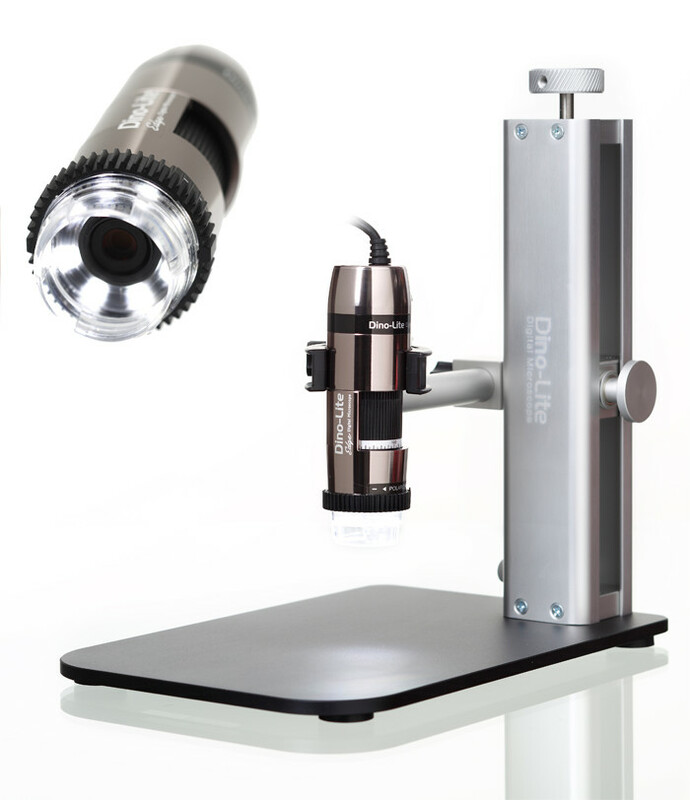 KITOZOOM - KITO 10-DVI Full HD Video Inspection Microscope. The KITO 10-DVI model consists of the KITOZOOM zoom unit with DVI camera, LED ring light with dimmer (see LED-R), height adjustment using a rack and pinion system which offers quick and fine adjustment, and the base plate. This 400 x 250 mm size plate is manufactured from 20 mm precision-milled and anodised aluminium. The base plate mounting feet can be individually adjusted in height and fixed. The plate has six additional prepunched holes. Special holding fixtures are often manufactured to quickly and easily position test subjects. These holding fixtures can then be mounted on the base plate using one of the pre-punched holes provided. In addition, the pre-punched holes on the base plate are provided for a series of optional cross positioning and cross measuring tables. Image capture is quick and easy to an SD card inserted directly into the DVI camera. No PC is required to use the KITO-10-DVI. There are a range of attachment lenses to choose from which can extend magnification up to 450x or working distance up to 310mm. Download the Technical data sheet for further information. Illumination: a range of illumination options are available to enhance the standard LED Ring Light supplied with each Kitozoom, including a segmented LED Ring light and a LED Cold Light sources working with flexible swan neck light guides. See illumination category.